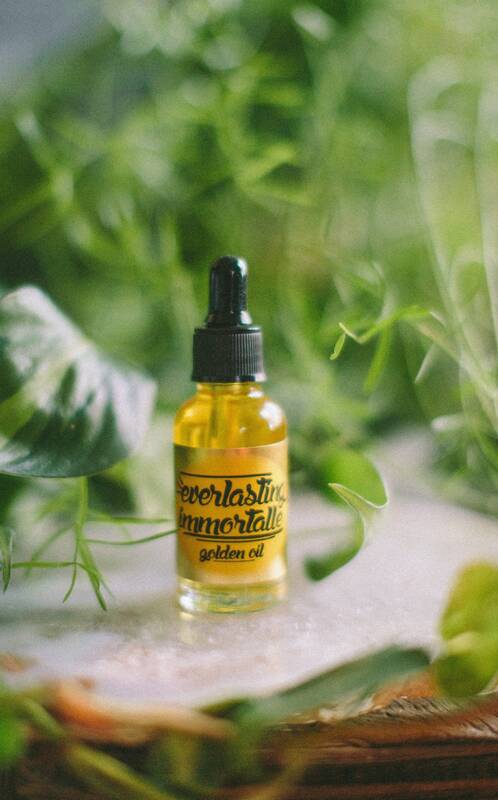 Made in highest regards for this rare precious oil, steam distilled from the Helichrysum flower, known as Sun Gold or more commonly Immortelle. Regarded as an oil of intense value to expand and open consciousness to the mind and deeply nourish and rejuvenate the skin. This is an exceptional experience. We invite you to journey into a world of this botanical bliss.... warm several drops of oil in palms, massage into clean face and neck while you breathe deep and release thoughts from your mind. Can be applied all over for the decedent. Ingredients: organic moringa oil, organic marula oil, organic everlasting essential oil. We ship standard USPS unless other arrangements are made. Orders are shipped within 3 business days, usually sooner.